BUSTING the Pregnancy Massage Myths! BUT unless it has come from a certified health professional that is trained in Pregnancy Massage – it is probably not true. If you have heard something you are not sure about, talk to me about it! Opinions are not facts! For a massage to cause a miscarriage it would have to be extremely deep and rough abdominal work to dislodge the placenta, and no professionally qualified therapist would massage a pregnant client in that manner. Causes of miscarriage occur due to the embryo having abnormalities or defects, genital structural abnormalities of the mother, maternal infection, maternal condition such as diabetes or nutritional deficiencies, environmental factors like second-hand smoke, maternal age for example a 25 year old has a 15% chance of having a miscarriage compared to a 42 year old at a 50% chance, immunological rejection of foetus, hormonal imbalances or an ectopic pregnancy where the tissues of the conceptus attach to the fallopian tube instead of uterine wall. All which massage or body work do not factor into. Myth #2: Massage is contraindicated/ not allowed within the first trimester. Probably the most common thing we hear; is that massage shouldn’t be carried out in the first trimester! BUSTED!! This is usually because the massage practitioner or beauty therapist is not properly trained in pregnancy massage. This is not saying they are not a professional or trained – they just haven’t been trained in the intricacies of pregnancy massage. 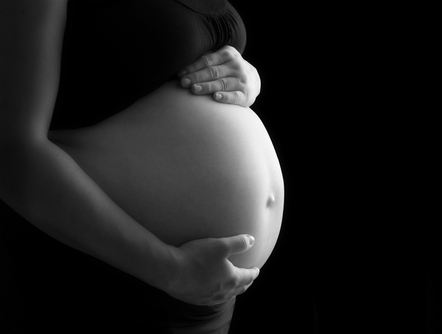 It is safe to have massage during all stages of pregnancy, when carried out by a Pregnancy Massage Specialist. The concern with abdomen massage in the first trimester is that the placenta is not yet fully matured in this stage and that massage could detach it from the endometrium. However, with abdomen massage the pressure is light and used with caution, and to dislodge the placenta would take very deep and rough pressure to dislodge or cause any harm. It is more likely you could cause the placenta to dislodge by doing a daily activity rather then getting a massage, especially if you are seeing a qualified pregnancy therapist. Myth #4: Pregnant women should only lie on their left side whether in bed or on a massage table. Unless a doctor has specifically told you to only be on your left side there is no reason you should not sleep on your right side during pregnancy. The left side is most advisable for long periods as it gives optimal blood flow to the placenta, keeps the uterus off the liver and the weight of your growing foetus off important structures of your heart (inferior vena cava and aorta), also improves kidney function which can play a role in reducing swelling. Only laying on your left side can become painful for your muscles and joints, so you can also lie on you right side with supportive pillows in certain areas. Laying on your right side can also be advisable to help with discomforts such as heartburn and indigestion and depending how the foetus is positioned the right side can be more comfortable. Therefore, sideling is the most recommended position, but not a hard and fast rule! You should add a pillow between your knees and ankles to reduce pain and dysfunction in the joints and muscles of the hips and lower back. When laying on the right side, some women experience light-headedness from the lack of circulation – if this happens to you, place a pillow under your hip to slightly tilt you to the left. In pregnancy any position can be used, but side lying can be the most comfortable for you and your baby. You can book an appointment with me by going online (click button below), or by calling the clinic (03) 52322319. To book with Amanda (Pregnancy Massage Specialist): Click here!